Wow! It’s your wedding and you are planning to host it this winter, most preferable season for the couple to tie the knot, to start their new life. Winters are unquestionably one of the best times to get married. More often than not, in a year most of the weddings happens in winters as people prefer to get wed-locked in winters, their first preference will always be this beautiful chilly-willy season. Perfect season for a glistening hair, ravishing skin, your makeup doesn’t run with sweat, amidst romantic ambient, getting wed-locked is just amazing. 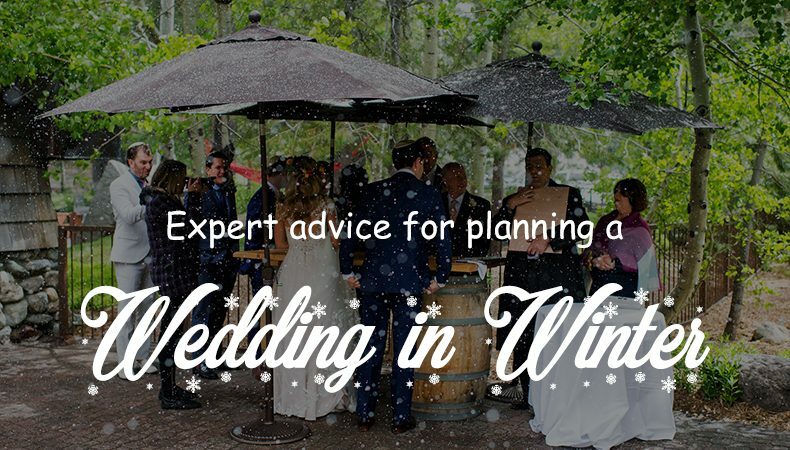 However, everything is so beautiful, and perfect to tie the knot in winters, yet there are few pointers you must keep in mind while planning a winter wedding. Choosing a winter season for wedding is implicitly a nice decision, yet, you got to make some wise decisions considering the wedding venue, decor, lighting, guests and several other aspects to ensure that your winter wedding is going to be a fabulous one for everyone who is going to be a part of it. Winter is not just the season for wedding but most of the conferences, events, exhibitions take place in winters most often, and all these events happen in hotel most of the time. 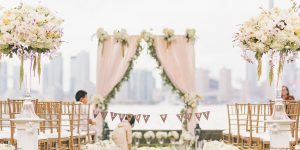 It is suggested to have a check, if your wedding date falls on any such day when some event is already going on, as it will not only affect hotel room availability but also there will be huge traffic that can create hindrance in your celebration. Weddings are pricey affairs altogether still you need to have a budget for your wedding. 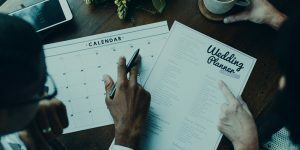 You can start your budget planning by making a checklist of all the vital details, like wedding photography, music, venue, your wedding attire, the invitations, the flowers and the food etc. Invest your money wisely keeping in mind your budget and your requirements. You can plan your budget like this: 50 to 52 percent of total budget to reception; 8 to 10 percent for flowers; 9 to 10 percent for attire; around 10 percent for entertainment/music; 10 to 15 percent for photo/video; 2 to 3 percent for invites; 2 to 3 percent for gifts; and 8 percent for miscellaneous items. It’s essential to allocate an extra 5 to 8 percent of your money for surprise expenses which may arise unexpectedly may be in form of printing extra invites, etc. As soon as you’ve got the wedding date, first thing you should do is to start looking for the venue or hotels keeping in your mind the budget. Be wise while choosing a wedding venue especially for winter wedding as it’s the peak of the season. Many hotels allow you to reserve guests’ rooms under a special wedding block and a reduced rate. And there are many hotels insist upon contracts with cancellation penalties, in such a situation simply say no as you don’t know which of your guest won’t turn up on the final day and then you will end up paying for the rooms you couldn’t fill. Also, while choosing your winter venue you have to be extra careful, about the type of venue you would like to host your wedding day. Wedding in winters doesn’t give you the privilege to go for open area or outdoor wedding, sometimes, settling on the type of venue for a winter wedding is a big dilemma! Because what is more important to consider in winters to finalize the venue is the comfort. But worry not, winter is the perfect time to experiment with your venue. In winters it is advisable to go for a combination of banquet hall and open-air venue instead, it is a great idea to have a wonderful set-up for winter wedding. It will be easy for your guests whenever the winter sunlight will be evasive, they can head indoors and stay cozy. Likewise you can have your daytime events in outdoor environments and the evening indoors. If at all you have planned a reception event outdoors use patio heaters near the seating area for keeping your guests warm and convenient, also don’t miss to put one on the stage for the main couple to feel comfortable. Also, it is suggested to book your venue as far in advance as you can, because mostly couples decides to wed-lock in winters due to which the difficulty of finding venue goes high as many venues will get fully booked around this time of year. As winter is the peak wedding season, it is suggested to start your wedding planning well in advance otherwise you will end up paying exorbitantly high prices to your vendors. It is suggested to book your vendor in advance it is not only about paying high but also it will be difficult to get good services at last minute planning. When finalizing your vendors don’t hesitate to tell them what exactly you are looking forward it’s not just about the money you will pay but also your wedding is once in a lifetime event, you cannot leave any stone unturned to make it the best of the best, the way you always wanted it to be. Your wedding vendors should be your most trusted experts during the planning process. Have an honest conversation with them the first time you meet them, if you are meeting with your photographer see his gallery before booking him. If you will have clarity in the first place you will get the best job for sure as there will be no confusion. Also, be frank about your budget too. Well, it is your wedding and you need to be extra organized like you do at your work also. Have all the correspondence with your vendors in one folder. Make sure that you save all the important numbers of your vendors in your phone and also in the phone of the person who is a coordinator from your side. He should have all the numbers saved in his phone. Do make him meet with the vendors before the wedding itself. So that vendors also know the one point of contact as you will be busy in the wedding chores. It will help you have an organized celebration without much chaos. Also, make sure that you have sent the confirmation mail to all your vendors to avoid last minute chaos keeping the coordinator in loop. Since winter is a perfect wedding season and most of the couple look forward to get married in winters, in such a situation all the wedding venues and everything related to your wedding will be relatively high cost, you can sign up for a credit card with a rewards program. You will have lot of deals coming in with that from air fares to big shopping bonanza offers, you can shop all wedding-related items with this card that way you will have thousands of rewards points which you can use later may be for your honeymoon. If yours is a destination wedding and you are thinking of the budget the easiest way to re do your budget and reconsider your guests’ list. Have them according to your priority, like immediate family will be first in the list, than the bridal party and best friends on top of the list; then comes your close relatives like your aunts, uncles, cousins and close friends you can’t imagine your wedding without. Under that, list your parents’ friends, neighbors, co-workers and so on. You can cut your guest list based on your priorities. As you already know that in the destination wedding half of your wedding budget goes in wining and dining your guests. There is no harm is eliminating those who are not so close. Winter is not just romantic or cozy season but when it comes to food and varieties there is no other season than winter for that flavor and delicacies. You can have an opulent food fests in your winter wedding. Work with your caterer to plan a meal that is warming and seasonal – you menu should not consist of food items that is heavy and stodgy, there are some great seasonal options at this time of year for your to get creative. You can have a luscious food items in your wedding in winters like a smoking cup of coup or a hot Kulhad of Rabdi, Jalebi, Gulab Jamun, Choco lava cakes, Puddings should be omnipresent in the wedding venue. Also, give your guests a dose of tangy food like Cheese Balls, Pakodas, Pizza, Spring Rolls, Pasta in the evening. Make sure your guests are able to satisfy their sweet tooth after all those savory foods. Remember that winter is the season for food lovers to enjoy, your guests will definitely enjoy the delicacies served in the wedding. Ensure that your whole menu is about winters. Let your guests’ enjoy the taste of luscious food items served at wedding. Your guests are most important, they come first. So, it is suggested to have tea/coffee counter 24/7 for the guests’ convenience – to keep them warm and have something hot for them at all times. Also, you can plan to have more warm hot snacks running during the whole event to have your guests peck on. If you are looking for a destination wedding, ensure beforehand that all the guests’ rooms are well equipped with the heater facility that will allow them to stay warm. Also, let your hotel management staff be pre-informed to keep extra essentials like extra blankets, water kettles etc., that will keep the guest feel comfortable in the room. Even you can have customized hampers in the rooms considering your guests’ convenience, it will add to the comfort factor. Lighting plays an indispensable role whether it is about your photographs or about the styling and ambiance of your venue. In winters you don’t get lights as in summers, in winters you need to use different types of lighting throughout your wedding event in order to avoid the darkness and the gloominess from the venue Tell your wedding planner to be more creative with lighting, there is a lot to add to the decor of the venue by just using a blend of candlesticks, chandeliers, dreamy fairy lights, pillar candles, and Edison bulbs. Stick to warm white tones to create a gorgeous, twinkling effect. Candles will help you bring the physical warmth to a space which will not only create a warm and cosy glow but also make your venue look welcoming at night. Winter is the time of beautiful flowers, it is the season when one can get some of the best flowers – both Indian and exotic, you have a lot to make the most out of flowers for decoration. Also, they stay fresh for a prolonged time, because of the winter season and weather conditions. Hence, you have a privilege to make a good use of the flowers and have an enchanting, and elegant looking wedding to yourselves. Choose season appropriate blooms such as Anemone, Roses, and Carnation then mix them up with a riot of foliage such as spruce branches etc., to have dramatic shades against natural greenery and woody shades. Also, make sure that the flower decor takes place on the day of wedding itself in the morning may be as the moisture can spoil the entire decor if done a day before. 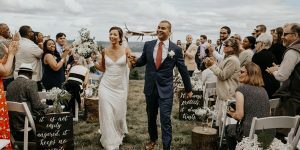 Winter is a perfect season to get some quite stunning wedding photographs, for the perfect romantic candid photographs – but you’ll have to be quick! If your wedding is a day event then you have to be a bit attentive and quick to get the perfect shots outdoor, you will need to get your outdoor wedding photography done before 3:00 PM as it gets dark much earlier, so it is suggested that you discuss timings and other details with your wedding photographer well in advance. Ensure that your guests have proper driving directions when you invite them to attend your wedding, along with the less traffic-prone route to take. You can also print the driving direction at the back of your wedding invitation card for the ease and convenience of your guests’ it will just add to their comfort factor. If you have hired a wedding planner for your wedding do give him the list of all the invitees so that he can do the needful. Whether you are hosting your wedding at some venue out of the town or in your town itself, whether it’s a hotel or a private farm, ensure that your setup is ready a day before. Tell all your vendors to do the set up just a day before so that you can also see if everything is as you planned or if there would be some changes you will have enough time to get them amended. While you are shopping for your winter wedding you might be lured with so many things in the market that you might not need in real. Ensure that you have a list of all the necessary items that you need to shop. Otherwise you will end up spending money on things which are not of much use later. Its better to regret later have a list and shop wisely. You may not need all that you shop out of temptation. Wedding in winters, you have to be careful about your wedding attires too. You cannot go with a Georgette or net lehnga in winters no matter how much you admired it when your friend wore it in her wedding. 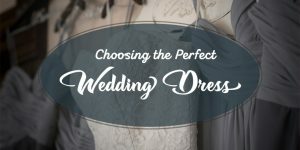 You have to consider the season while purchasing your wedding dresses. While grooms have the advantage they can warm themselves with thermals and warmers, whereas brides can get their lehangas made in thick fabrics like velvet or silk fabric, Brides can also go for a trendy and beautiful shawls for their wedding outfit. With winters not only come that beautiful cosy whether but it also brings with the dryness of skin or chapped lips. You need to take extra care of your skin for your big day otherwise it will reflect all in your wedding photographs. Make sure that you use a proper winter skin care regime for your wedding. In winter you may not feel much thirsty but make sure that you drink enough water even in winters, you have to keep yourself hydrated, if you will take care of your skin you will surely look beautiful naturally on your wedding. Also, sun may look tempting in winters and it is needed for our body but you may catch tan much faster so it’s suggested that you avoid coming into direct exposure of sun. Winter is the season when everyone has plan for that make sure when you are inviting your guest do intimate them well in advance so that they can make it for your wedding. Otherwise you will end up having so many rejections due to not inviting them on time as they may have their other commitments. If you will send them invitation cards on time they will surely save their dates for making if for your big day. Last but not the least, initially while you start planning for you wedding it may look that you have ample of time to do things, but you will hardly notice how the time flew so immediately, the day when you started planning you have good six months time in your hand now you have only 30 days left in hand. Be realistic with your time make sure that all your vendors are booked, check your to-do list if something is left, see if all the invitations are sent or not otherwise you will have many angry relatives later. You don’t have to rush off course but doing things well in advance will let you have enough time for yourself and you can avoid rushing at last minute for things which are left undone. All the above mentioned are the pointers to consider when you are looking forward to the wedding in winter. Winter is a perfect season to tie the knot with your spouse to be and you will have plenty of options to go for your honeymoon. Also, in winters weather can go unexpectedly opposite of what you thought like it may rain even though you didn’t plan anything for that it is good that you have few umbrellas stocked for yourself and for your guests to have a smooth movement of them and yours as well. Make arrangements of heaters, blankets and other comforters for yourself and your guests. Especially at wedding hall make sure enough heaters are placed at seating area as well as on the stage to keep you and your guests warm at the wedding.